For the past seven years, a group of enthusiasts have been organizing an unconference about PHP and related web technologies in Hamburg, Germany. What started off as a gathering of only fifty people, has grown over the course of six years into an event, which has received much following and attention within the German speaking PHP community. 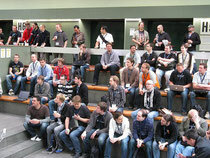 In 2012, 250 developers attended the two day unconference in the north of Germany, which attracted a large number of well known German speakers and authors. 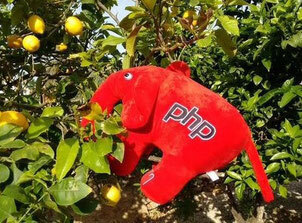 Our mission is to bring together an international group with knowledge of PHP. In addition to the German event, the organizers also provide an European event. The first PHPucEU took place 2011 in Manchester (GB), followed by the 2nd PHPucEU in Berlin 2013. The third European Unconference will take place in May 2014 on the island of Majorca. The unconference will be planned, so that attendees are free to leave in order to catch returning flights on Sunday evening. Keep an eye on the blog for regular updates! In order to address as wide an audience as possible, the language of all sessions, presentations and round table discussions will be English. In addition to the sessions themselves, one of the key aspects of an unconference is the time between the sessions. Here, the attendees are motivated to further discuss the topics of the sessions, while enjoying a cup of coffee (or depending upon the time of the day, a beer) in the foyer.